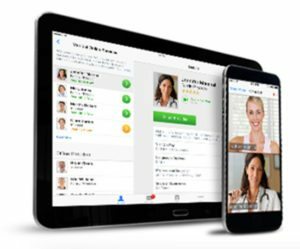 Convenient Care Now by Hackensack Meridian Health provides on-demand video consultation for urgent care issues with a board certified physician 24/7, from the comfort of your home or anywhere else. Online access to board certified doctors 24/7. Use your computer, smart phone or tablet to have an immediate video visit with a physician by going to ConvenientCareNow.com. Register in only 3 easy steps and then see a doctor online right away for only $49. People use online medical care, or telemedicine, to address a range of issues from acute needs to more general health care questions. Creating an account takes only a few steps and is done in a minute. Choose the doctor that works best for you. Visits use secure, high-quality streaming video. See and speak with a doctor 24 hours a day.